In 1951 a number of brethren who had been pupils or who were on the academic staff of the grammar school held an informal meeting to discuss the formation of a lodge. It was felt that the school which had been founded by Bishop Hugh Gore in 1682 had contributed to Swansea and its environs more academic and economic benefits than all the other educational bodies put together. Some apprehension was felt that, with the phasing out of Grammar Schools as part of State Policy, the reputation and traditions of the school might be forgotten. Despite an active Old Boys Association the opinion was expressed that a greater degree of perpetuity would be achieved by the formation of a Masonic Lodge that would be closely linked to the school. 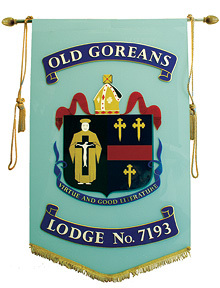 This was unanimously accepted and it was decided to form a Lodge to be known as The Old Goreans Lodge and that the Lodge should adopt the coat of arms of Bishop Gore and should also adopt his motto of “Virtue and Good Literature”. A deputation of proposed founders of the new lodge attended the Regular Lodge Meeting of Glantawe Lodge No. 5378 held on Wed 13th Feb 1952 when W.Bro. G. Alan Madel spoke in support of a petition to form a new lodge to be called the “Old Goreans Lodge”. The brethren of Glantawe Lodge gave full support to the petition and the Lodge Warrant was issued on 7th May 1952. On 5th June 1952 the Consecration Ceremony was performed by the Provincial Grand Master (South Wales Eastern Division), Right Worshipful Brother R.P. St. John Charles, J.P., P.A.G.Reg., Prov.G.M.. The installation of the Master, W.Bro. G. Alan Madel, was conducted by the Deputy Provincial Grand Master, Right Worshipful Brother Edgar J. Rutter, O.S.M., P.G.W., Dep. P.G.M. A Lodge of Instruction was formed and the first Preceptor was W.Bro. R.T.W. Cross, the Director of Ceremonies, and he held these offices for fifteen years until his election as Master. The Lodge worked happily and successfully, in the greatest harmony, and the 25th Anniversary was celebrated by a dinner at the University College of Swansea at which the ladies were our guests. The close association with the school, which commenced when the then headmaster W. Bro. Ellis Lloyd became our second master, has continued although membership of the Lodge was opened in the mid 1970s. Bro. Leslie Evans became headmaster in 1966. The first initiate of the Lodge, in December 1952, was W.Bro. R.M. Glyn Thomas who became its Master in 1961. Another initiate, W.Bro. Herbert T. Morgan became Master in 1966 and was elected Mayor of the City of Swansea in 1975 also being made a Freeman of the City of London. In 1982 Bro. Paul Valerio had the distinction of being the first Lord Mayor of the newly-created City of Swansea. W.Bro. Anthony Davies, who was initiated by W.Bro. Herbert Morgan at the 100th regular meeting of the lodge in 1966, became Professor and Head of Physics at Swansea University and subsequently was appointed Pro-Vice-Chancellor of the University. Three members of the Lodge have been honoured by Her Majesty by being made Members of the British Empire. These were W.Bro. Leigh Jones (sport), W.Bro. Keith Atkins (education) and W.Bro. F. Clifford Rose (music). Six of the present members, W.Bro. Harold Davies, W.Bro. Cyril Skrastin, W.Bro. Dilwyn Jenkins, W.Bro. J.Michael Glass. W.Bro. Trevor Wignall and W.Bro. Anthony J.Davies are Masonic veterans having being members of the craft for more than 50 years. Dilwyn Jenkins, WM in 1970, was behind the idea of a Lodge Banner and he wanted something special and different. He, together with Trevor Wignall (WM 1988) and Joining Past Master, David Richard Morgans (same year pupils at Swansea Grammar School) researched documents and old photographs. Being an Architect, David Morgans was asked to produce some ideas and sketches, based on their research. 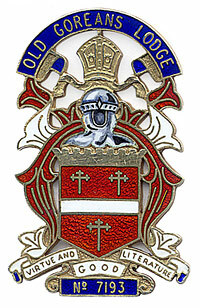 A design, incorporating the Arms of Bishop Gore, together with the Lodge Motto, was agreed upon by the Past Masters. David then produced a full size coloured drawing, which was accepted by the Lodge and Trevor Lewis Signs Ltd, Llansamlet, Swansea, made an acrylic Banner from David’s template. The Banner is maintenance free, but heavy and is believed to be the only Banner of its type in existence. Membership of the Federation of School Lodges has widened our horizons and increased our circle of friends. The Old Goreans have always attended the Annual Festivals and were invited to chair the 32nd Annual Festival in September 1979. The Lodge Meeting was held by dispensation in the Hall of Bishop Gore School when W.Bro. Anthony J. Davies was Worshipful Master, W.Bro. Clifford Rose was Senior Warden and W.Bro. John Booth Junior Warden. The Festival was attended by the then Provincial Grand Master of South Wales (Eastern Division), R.W.Bro the Rt. Hon. 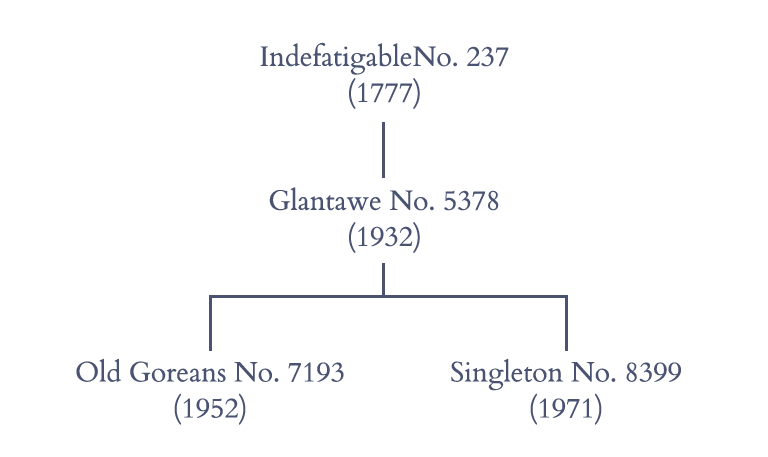 Lord Swansea D.L., Prov.G.M. South Wales E.D., accompanied by distinguished brethren of this and other Provinces. The President of the Federation of School Lodges, W.Bro. H.T. Seymour, F.R.Econ.S., P.G.ST.B., L.G.R., P.P.G.W (Surrey) was also in attendance accompanied by the Officers of the Federation. Following the calling of the roll of lodges present, members of Swansea Lodge, No. 8364, gave a demonstration of an early 19th century Russian Initiation Ceremony based on the description in Book V of Tolstoy’s “War and Peace”. The festive board was held in the great hall of Swansea University. Just as the school has changed and adapted to meet the needs of today’s society, so has the lodge changed to meet altered circumstances. The opening of the lodge has introduced new members from a wide range of backgrounds and this has enriched our experience. Many of the brethren still have links with the school and, in its workings and social activities, the lodge continues to preserve and cherish those virtues that are exemplified by the life of Hugh Gore and which have set an example to succeeding generations for over three centuries.